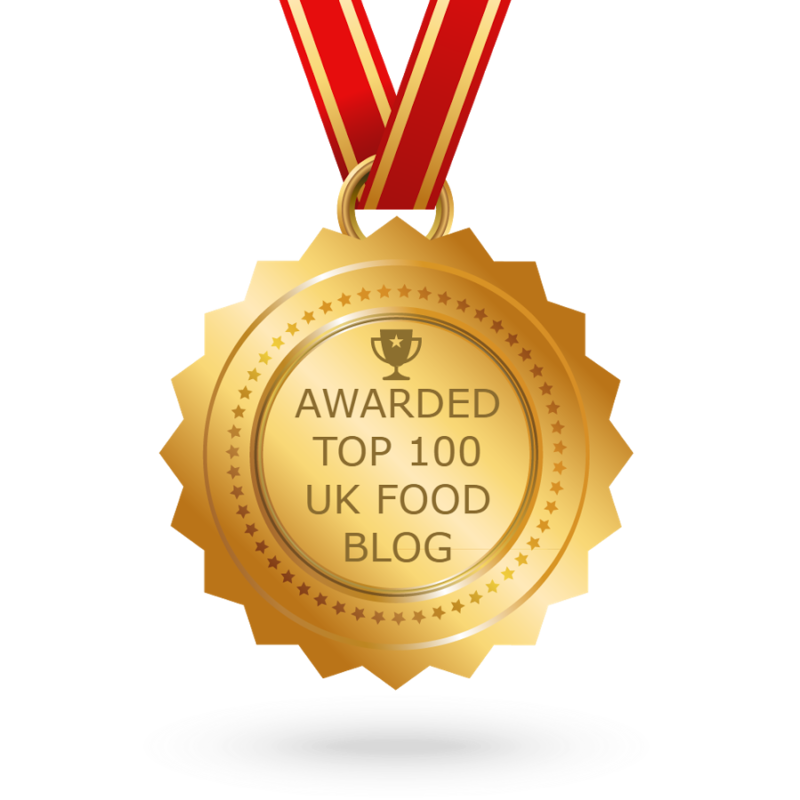 I am, briefly, turning into a travel blog for a couple of posts. I’m sure you won’t mind dear Cakeyboi readers, as our destination was such a beautiful place. Disneyboi and I travelled to Salzburg in Austria recently. This was a bit of a special trip as Disneyboi had a very special birthday recently and he loves the film ‘The Sound of Music’ which also shares the same birthday this year. Part of the trip was to see the locations from the film, but I am going to cover that in a later post. For now, I am going to concentrate on Salzburg itself. We arrived in Salzburg a little later than expected due to a missed connecting flight, but we got there eventually and found our destination, the Ramada hotel, situated right next to Salzburg train station. We went straight to bed that night, ready for the following day of discoveries. The next morning we had breakfast in the hotel and were disappointed that we couldn’t see much from the windows, due to heavy cloud cover. But we needn’t have worried, that afternoon the clouds broke and we had glorious sunshine the rest of our visit. Not bad for one of the rainiest countries in the world! The first thing we did was get ourselves a Salzburg card each. 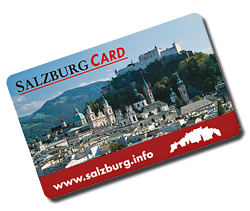 A Salzburg card costs €42 per adult for 72 hours (you can also get 24 and 48 hour ones and child prices are exactly half), perfect for the duration of our visit. With the card you get unlimited bus travel and entry into many attractions around the city. 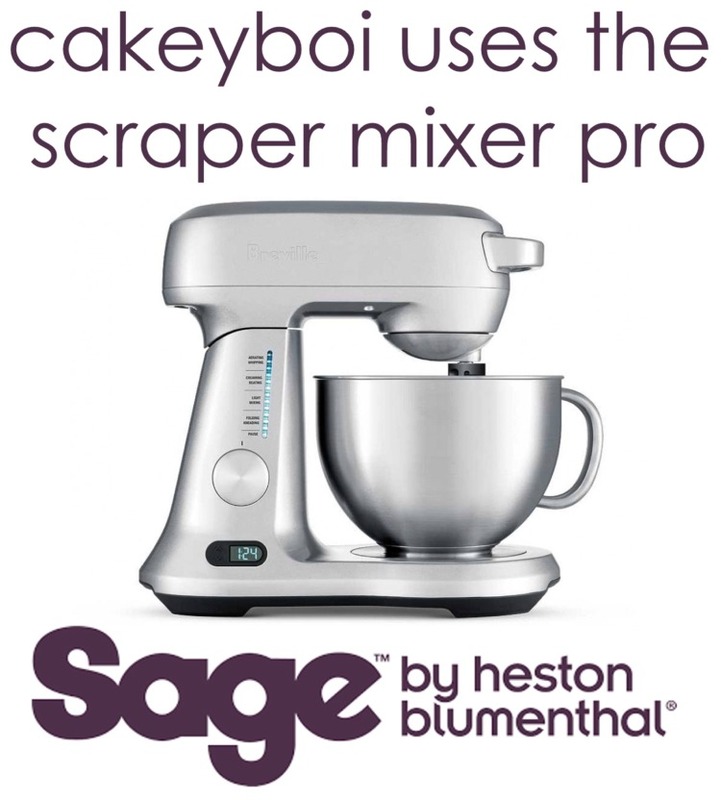 I am so glad we bought them as this saved us a lot of cash and I would highly recommend getting one if you visit. I noticed a lot of people sleeping rough in the train station and it suddenly dawned on me that the people were refugees from Syria. Seeing the families, some with young children, was quite moving and really brought home the crisis. We continued on our travels and took the bus into the old town part of Salzburg, across the river Salzach. We alighted and started to discover the beautiful streets and architecture of the city. There were little alleyways through buildings with shops inside. A bit of a rabbit warren of shopping. That morning we visited the Hohensalzburg fortress which looks down over the city, atop the Mönchsberg mountain. To get to it we took a trip up the funicular (free with the card), and at the top wandered around the 900 year old fort which had such a sense of history. There is lots to see and do in the fortress and we only scratched the surface, but did enjoy the marionette museum inside (also free with the Salzburg card). We wandered all the way down back into the old town, rather than taking the funicular back. It was a steep walk, but gave us a chance to discover more streets along the way. 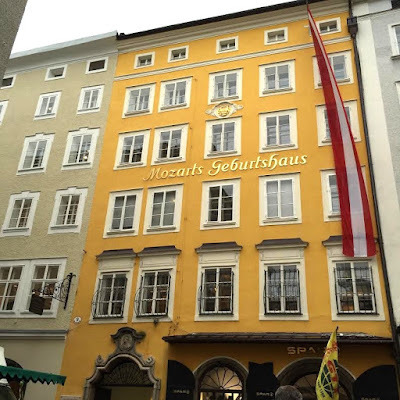 Our next port of call was the Mozart museum, which is located in the house where he was born back in 1756. A creaky old building, but beautiful nonetheless, held many artefacts, paintings, instruments about the famous composer who is one of Salzburg’s most famous son’s. Entry was again free with the card. We stopped for a bite of lunch, a pretzel bought from one of the many street stalls, and continued wandering the winding paths, ending up at the city’s festival halls. Entry (you’ve guessed it) free with the card gave us access to a guided tour of the three large halls which are working concert and opera venues. Built right into the imposing Mönchsberg Mountain, the three separate halls within the building are worth a visit, and not just for Sound of Music fans (more of that in a later post). After our tour of the Festival Halls we returned to the hotel for a refresh and decided to indulge in one of our favourite pastimes – shopping! Salzburg has a large shopping mall called Euro Park which we took the bus out to. We spent a couple of hours there; it has around 150 stores, including an IKEA at the back on the centre. We didn’t actually buy too much, but enjoyed seeing what was on offer. It was getting dark at this point, so we took the bus back into the centre of the city and went to a restaurant we had spotted earlier in the day, located in the old town. We both had exactly the same food – schnitzel, and potatoes (no noodles), which was crispy, golden and dare I say it delicious. To follow we had apple strudel which again was crisp, golden and very tasty. Following our meal we had a stroll around the old town, before happening upon a bar sited on top of a hotel, called the Sky bar which had views across the city. Unfortunately it was October night time, so the view was limited. But the bar was very pleasant and we had a couple of G&T’s. We headed back to the hotel and day one was done. 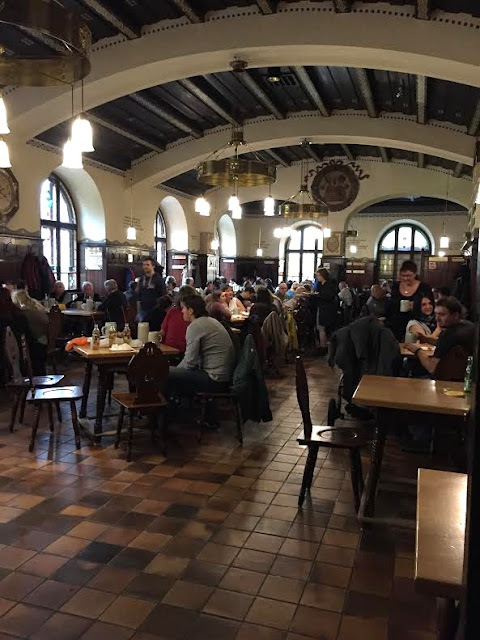 I am going to skip past most of Saturday as it was really a Sound of Music pilgrimage and I want to cover that in another post, so I shall fast forward to Saturday evening where we visited the Stieglkeller. Stiegl is the main beer in Salzburg and it’s brewery is located near the city. We didn’t get a chance to visit, but it would have been another Salzburg card moment. Anyway, they have a restaurant, located on the way up the Mönchsberg mountain. Inside are rooms, like beer halls with big tables for friends to get together and eat and drink. 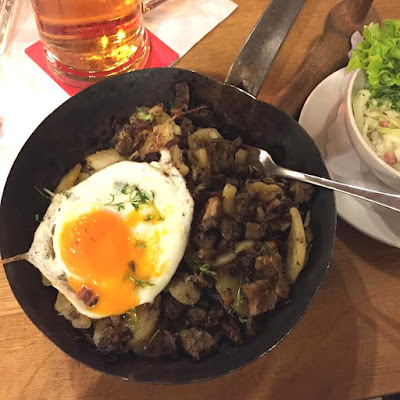 My main meal was called gröstl – which is an Austrian Hash, with fried potatoes, pork and beef, topped with a fried egg. This was really, really good, so much so I am going to try making it sometime. We left there and ended up in a small pub, tiny in fact, which we discovered was a smoking bar. Everyone around us was lighting up, so we had one drink and made our excuses. You take really bad when you are so used to smoke free bars. We ended up back at the hotel ready for a good night’s sleep before our last day. On Sunday we ventured out to the Untersberg Cable Car. This is a cable car, which featured in the film ‘Where Eagles Dare’ which is suspended by just two cables going up and down this mountain. Entry was again gained by the Salzburg card (and would have cost €22 without it) and we got into the car, which took us around 6000 feet high and we alighted at the top to see the most beautiful sights ever. Alps as far as the eye could see. People were going for long hikes, but we spent about 30 minutes just enjoying the vista before getting back on the cable car and back to earth! We took the bus back and got off at the Mozart Academy which is situated a couple of kilometres outside the city centre. I will cover more of this in the Sound of Music post for a good reason, but we wandered from here back into the city centre. 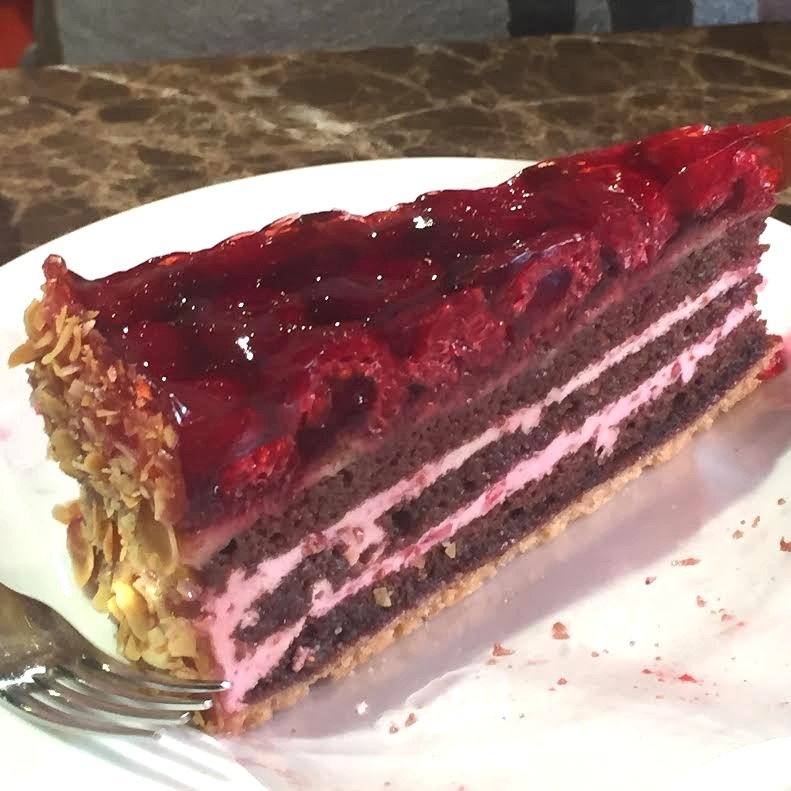 We had a coffee and cake in a bakery – the Obsttorte which Disneyboi had featured chocolate and raspberries, whereas I had a classic sachertore. 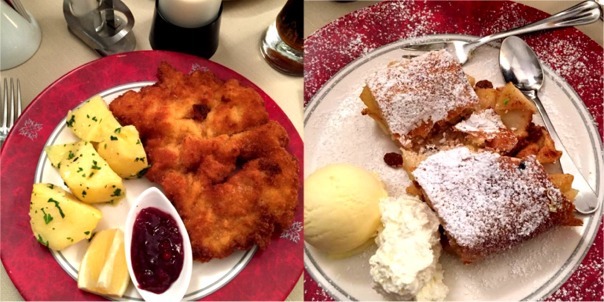 Both were exquisite and you can see why Austria is renowned for it’s cakes. We wandered the old town for the last time in daylight, purchasing a few gifts – although most shops in Salzburg do shut on Sundays – a tip if you are going over the weekend. In one of the guidebooks that Disneyboi had bought before we read about a Bier Halle we wanted to visit and eventually found it. The Augustiner Brau and Brewery is situated in the Mönchsberg and when we entered we were a tad confused as we thought we were entering an old apartment block. We followed some people downstairs into this beer tavern, which dates back to 1621. There are three separate halls where you can find long tables and outside these halls a delicatessen arcade where you can buy food to enjoy with the beer. The beer is served straight from wooden barrels into steins. We had litre sized steins which were good value at €6 each. The beer was quite potent as we felt a bit tipsy as we staggered out of the beer hall and ventured back to our hotel. That evening we went back into the old town for a final meal and drinks, and before we knew it, it was late Sunday night and we were packing our things up. We started our journey the following morning back home, with lovely memories of our time spent in Salzburg. I would highly recommend visiting Salzburg for a long weekend. It is not a big city, but there is plenty to do and see. And it has such an easy bus system, travelling around is no bother at all even without a car. Even if you are not a fan of The Sound of Music, the town has a lot to offer tourists and you will love the history. Looks like you both had a great time!! This post brings back memories as I've actually been to Salzburg twice and loved it both times! I look forward to your other posts!! Wow it looks amazing. I've wanted to go to Salzburg for ages and you make it look so tempting. So sad to see the refugees, I'm sure, and shame about the smoking bar. But wow those views from the cable car are stunning. What beautiful photos - it looks like you had an amazing time. Cake in Austia are incredible, aren't they. I think I at slices of cake a day there. Amazing cakes and sweet things! And what a fab time you both seem to have had. Now, do I dare ask where the name Disneyboi came from? Ah, he used to work in the Disney Store (until quite recently!) - yes it was a fantastic trip! Ahhh, I want to go! My poor bucket list is getting longer by the day!